When you think about climbing trees, it will most likely bring back some wonderful childhood memories. Perhaps you had a tree house with a secret password or you just enjoyed hiding away from your parents when it was almost time for bed. What was once seen as nothing more than fun and games, can now be turned into a trade! Arborists started climbing trees in the later part of the 19th century. 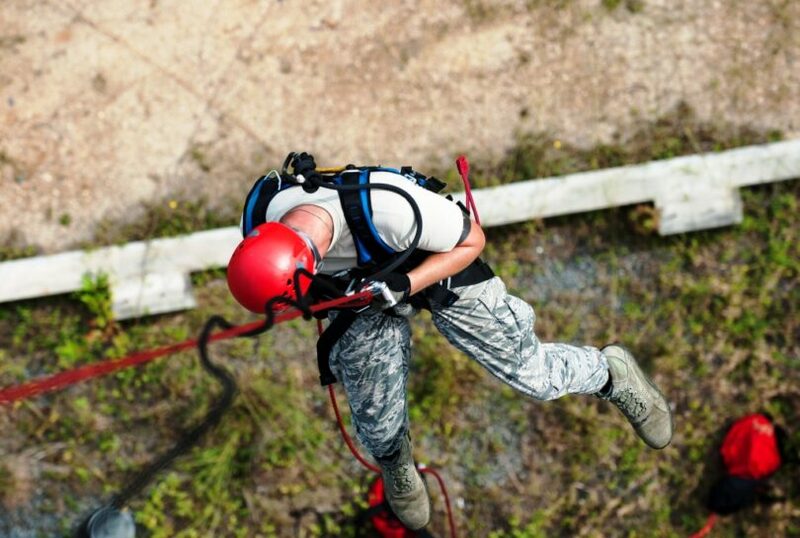 Today, they use specialised tree climbing gear to safely navigate their way up to the desired height before securing themselves in place to perform the necessary task. 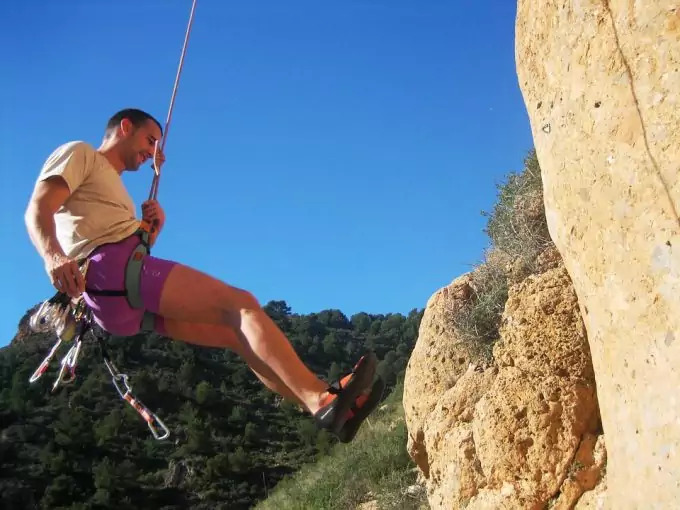 Whether for recreation or work purposes, it is important that climbers always undergo the proper training and use the correct supplies to ensure adequate safety. A thorough understanding of trees will also go a long way. Only use the proper equipment. Research the area where you will be climbing and establish if there are any wildlife or plant risk factors. 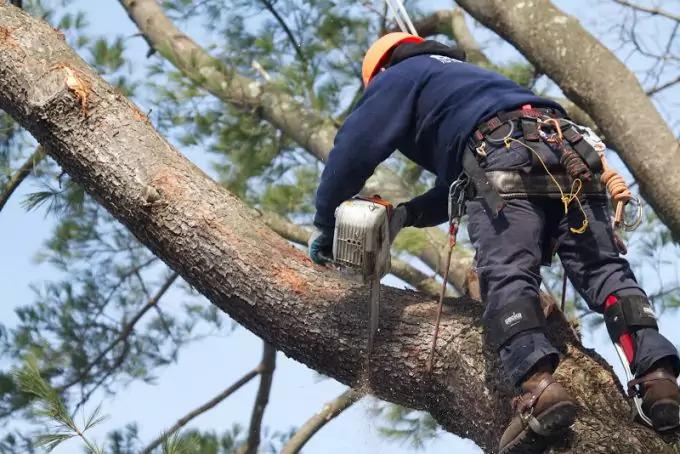 Inspect the tree you are about to take on and look for any signs of damage such as cracks in the wood, trunks with an excessive lean, and any forms of infestation, rot, or decay. Look for weak branches and make sure that you only use stable branches. If the tree has many broken branches, this could be an indication of poor tree health. Dead trees should never be climbed unless you are a skilled professional, and it’s your job to cut it down. If you are particularly sensitive to plants like poison ivy or if you’re not sure about your sensitivity, it’s a good idea to avoid areas where these plants grow. Always keep first aid medical supplies on hand in case of an emergency. Your standard first aid survival kit should suffice but make sure that you pack something specifically for skin irritations. See our article on the best first aid kits to guide you and keep you prepared. 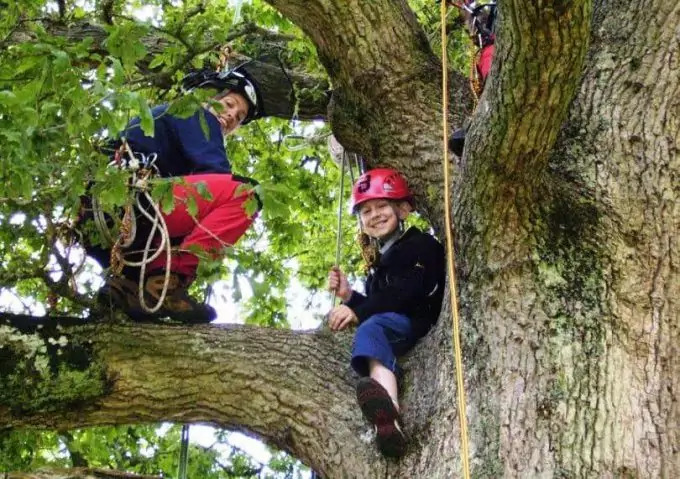 Tree climbing is becoming an increasingly popular activity for all ages. Many agree that it gives them an incredible rush while reminding them of some childhood adventures. 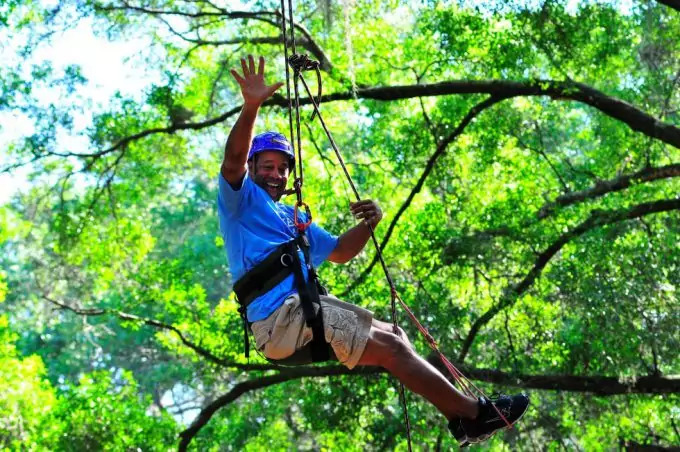 Unlike climbing the occasional tree at the park or in your yard, this recreational activity takes it to a new level. It’s far more intense which is why enthusiasts invest in quality gear kits for tree climbing. For an in-depth look on how to climb a tree, see our article on this interesting topic. When starting out, you might not be sure if it’s something you’d like to pursue on a regular basis and that’s okay. There are a number of professional facilities that allow you to get a taste of the action before you buy out your own kit. Even once you know that this is something you would like to continue, it’s not necessary to purchase the top of the range kit. Your kit can progress as you do so start with the basics. With the help of a trained professional, and perhaps some additional online research, you can expand your knowledge and understanding which will help you improve your skills. Your instructor should also be able to advise you on the best equipment to suit your personal needs while teaching you about the limitations of each part of your kit. There are a number of books as well as online resources that will help you improve your understanding as well as your technique. The more you learn, the more it’ll seem like second nature and soon you will be enjoying some of the best views from above. Arborists, unlike recreational climbers, will need the very best quality tools to get the job done. People in this trade are highly skilled, and they also know exactly how to identify the strengths and weaknesses of each tree. Arborists are often charged with the duty of cleaning up wooded areas in order to make them safer. By doing so, forest paths are safe for hikers, and the damage caused by falling trees can also be minimized. When any kind of equipment is used on a daily basis, you can expect it to suffer from wear and tear. The tougher the equipment, the longer it will last and the more value for money at the end of the day. In order to perform this kind of job, comprehensive training is a must. 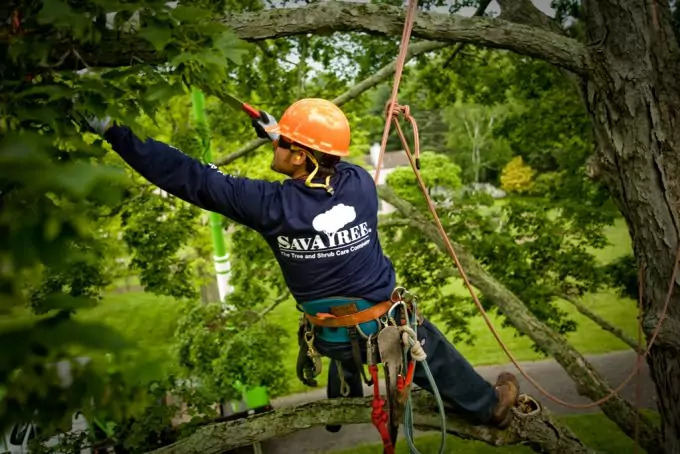 It’s not just about learning how to cut down a tree but also taking the correct precautions to ensure maximum safety and minimal damage to the surrounding area. 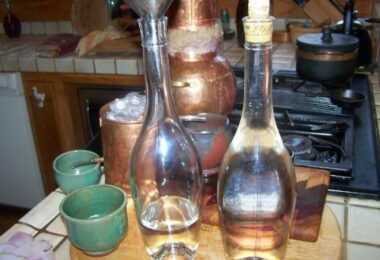 This is so much more than just taking your household hacksaw and removing a stray branch here and there. It’s also important to understand the legal restrictions and regulations relating to any form of tree removal. Before you pick up your saw, you will need to be qualified and authorised to do so. This activity is not only for adults or professionals. Children can really benefit from time outdoors, and studies have shown that children actually need some form of “risky” play. Of course, safety must always come first, and you would never want to put your child in harms way. There are some great junior kits and gear for climbing trees. These kits are usually moderately priced and include the basics to give your child the safest start. As parents know, children grow so quickly that it’s relatively pointless spending too much money on something they are bound to grow out of in a matter of months. When shopping for this kind of kit, it’s important to know the weight and height of your child. Always buy equipment that will support more than your child’s current weight and, if possible, buy larger equipment that can be adjusted to fit. It’s essential that you have your child try on the equipment to make sure that it’s a snug fit but not uncomfortable in any way. What you will need depends on your skill level and the reason for your vertical ambition. Professionals will require a very different set of tools compared to a recreational enthusiast. A popular solution for many, even beginners, is to look for a kit that includes all of the basic necessities. This is enough to get you started and keep you safe as you explore your new hobby or prospective profession. Some sets include a helmet whereas others do not. 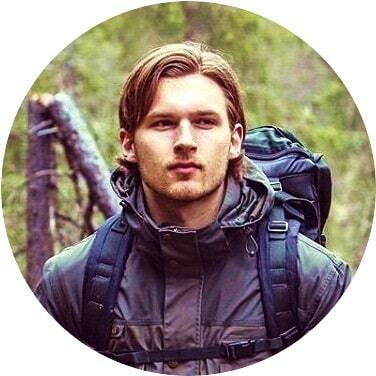 The kit should, at least, include a sturdy harness, one or more carabiners, and a tough rope. Anything extra can be purchased separately, and you can build your collection over time rather than making a large investment all at once. This Entry-Level Spur Kit is available in various sizes, and you can expect manufacturers to offer a sizing guide for convenience. As you can see, it includes the basic items as well as a few handy extras. Head protection is essential in various sports and activities. Tree climbers are also urged to wear the right headgear at all times. You cannot predict accidents. If a branch falls or if you lose your grip and bump your head, the right helmet will minimize your injuries. Your helmet should fit you properly. You don’t need it falling in your eyes while you’re that high up off the ground or if you’re working with cutting tools. 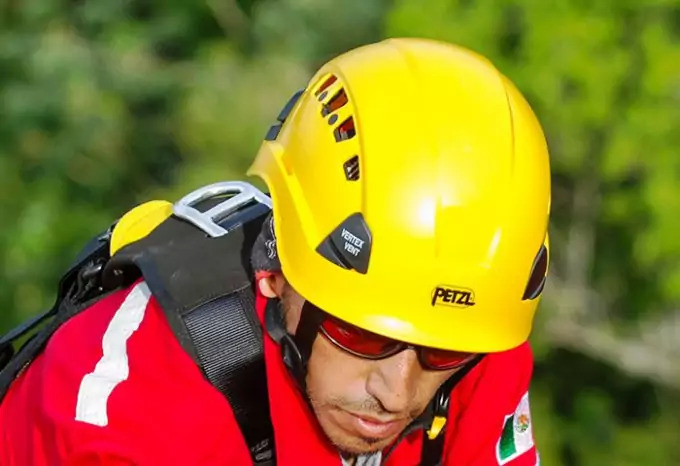 This Petzl Helmet is a popular product, and you can even add a visor if you like. The visors come in handy not only for protection from the rays of the sun but also dust particles. Also, because the visor fits on directly, you won’t need to worry about them falling off or irritating the back of your ears. Harnesses come in a wide variety of models, colors and sizes. Regardless of the type of harness you choose, it’s important that you inspect and adjust it properly for the perfect fit. It’s never a good idea to buy a harness that just fits you. It should have room for adjustment either way (smaller and larger) just in case you lose or gain weight in the future. The style will also determine just how much support your harness provides. While some simple designs are lightweight and ideal for brief periods of use, others might be a bit heavier, but they support you during an entire day of tree work. The various clips also make it easy to attach extra tool bags and other supplies that you might need when aloft. The last thing you want is to climb down every time you need something! Weaver is a popular harness manufacturer, and this is just one of their many adjustable designs. If you purchase a leather harness, make sure that you ask the manufacturer for care instructions. Different types of materials require different levels of care and, for your safety, these instructions need to be followed to the letter. Carabiners are an essential part of any climber’s kit. Even if you are on a really tight budget, it’s worthwhile investing in quality rather than looking for the cheapest option. When shopping, make sure that you choose carabiners that will comfortably hold your weight and more. Double locking carabiners are some of the toughest you will find while screw locking carabiners are used for rigging. Accessory carabiners aren’t designed to hold extremely heavy weights, but they are made for quick and easy use. They don’t have any kind of locking system which means that you can click and unclip them with ease. They are perfect for securing various tools and essential items to your climbing harness. 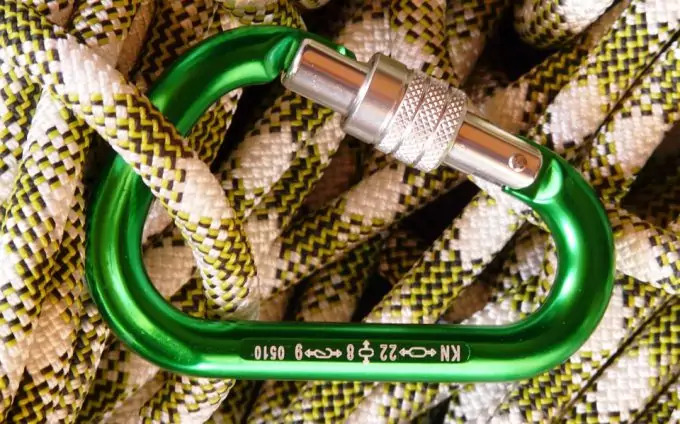 Rope clips are popular alternatives to carabiners. They are made from aluminium or steel, and they offer incredible support when climbing. As you shop around, you will also find that speciality stores also stock various shackles, links, and swivels. These are all perfect for customising your setup. They are the kinds of accessories that you will usually build up over time since you first need to define your preferences before you can do any kind of customisation. Check out our piece on how to choose the right carabiner to find out more. Petzl is a significant name in the industry and, as such, you can be sure to find a variety of carabiners and other clips like this one. If you have ever tried to toss a rope up and over a branch, you will know just how tricky it can be if there’s nothing to guide the rope along its way. The right weight at the end of the rope will help give it much-needed momentum to reach the desired height. The weight also helps ensure a smooth descent on the other side, and it reduces the effect that even a slight breeze can have on your otherwise accurate throwing skills. As for ropes, this is another corner you can never afford to cut. It’s not just about the tensile strength. For more information on the different kinds of ropes for climbing, check out our article on this to find out. Sure, you need rope that will hold your weight, but it also needs to be resistant to sunlight. The UV rays of the sun can turn regular ropes brittle in no time, and this is extremely dangerous since it increases their chances of snapping. Your rope should also be resistant against twisting and flexible so that it holds a knot properly. 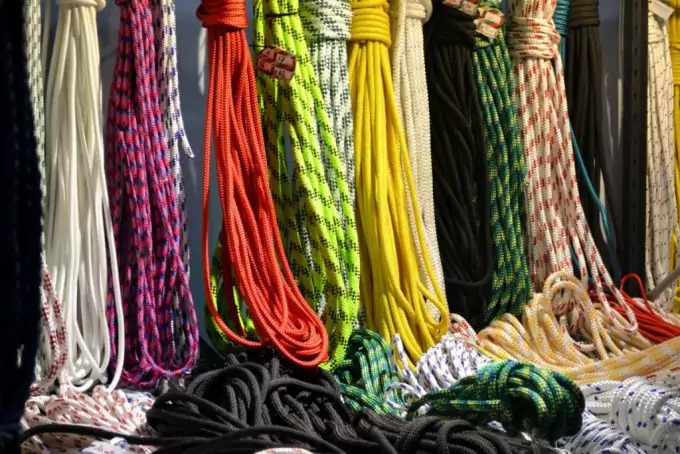 Whether you’re planning on spending just a few ours a week or several hours a day climbing, you should look for a type of rope that won’t hurt your hands. Tightly braided ropes are ideal for comfort. Regardless of the type of rope you choose, it’s always crucial that you inspect it thoroughly before every time you use it. The length you choose will depend on your skill level and the purpose of your vertical adventures. Cambium savers are also referred to as friction savers. It’s always important to be aware of your surroundings and the impact of your actions on nature. Even the smallest action can have a devastating reaction. You might not notice these reactions immediately, but they will definitely take their toll over time. When your rope rests on the top of a branch, and you begin your climb, there is a great deal of friction. The rope will rub against the bark of the tree and can eventually wear through all the way to the cambium of the tree. This is actually how these products got their name! They were designed with conservation in mind, but they also offer so much more. By reducing friction, your rope will endure less wear and tear which means that it will last longer. It’s also good to know that there are different types of cambium savers and various sizes too. The sleeve style is really popular since it slides straight over the rope itself. With the rope inside this u-shaped tube, it won’t come into direct contact with the bark. Ring styles are also popular, and they vary in length, ring size, thickness, and more. There are even adjustable varieties, so you only need to carry one to get the job done. Somewhat more pricey options include pulley systems rope guides and more. This leather sleeve cambium saver is a popular option among beginners and experts alike. Outdoor fun is always more enjoyable when you’re wearing the right clothing. The same can be said for working outdoors. 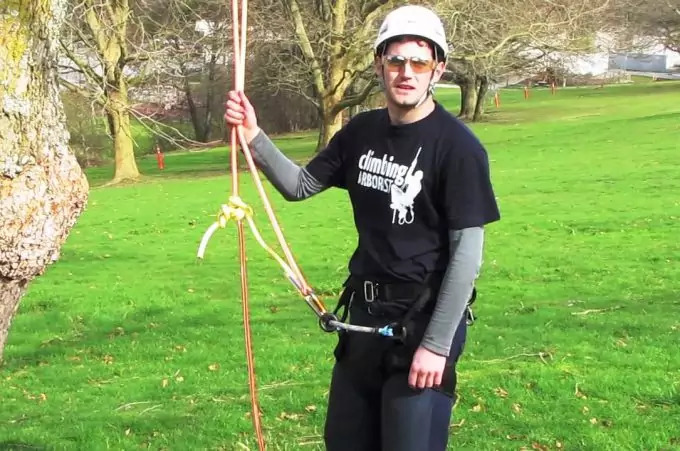 There are a number of reputable clothing companies that specialise in tree climbing apparel. Quality is extremely important so, even if you do pay marginally more, they will more than earn their keep over time! The first item you need to hunt for is suitable pants. They should allow free movement so don’t be shy about stretching into somewhat awkward positions while trying them on. You cannot afford to have your range of movement restricted when you’re that high off the ground! Pants with extra padding over the knees and crotch area are ideal. Remember the harness will create at least some friction when in direct contact with your pants which is why a reinforced crotch area is so important. For those who are comfortable climbing in shorts, you will find some great rugged designs from various designers. Quality boots are also a must since you rely on your legs and feet for traction and grip. Highliner designs are good for spur climbers while ankle boots are suitable for other styles of climbing. No matter the rope you use, you should always protect your hands. Depending on your needs and preferences, you can choose between your average work gloves and cut-resistant gloves. Special rope handling gloves offer protection without covering the tips of your fingers, so you still have full control over your equipment. Arm chaps are also optional for added protection. All other clothing items, like t-shirts and jackets, should be form-fitting but flexible to allow for free movement. Baggy clothes will get in your way and can pose a risk. Reflective gear should be worn if you are working in areas like high traffic zones and it’s always good to have water resistant garments just in case you get caught in the rain. It’s also worth mentioning that arborist clothing is not only for men! 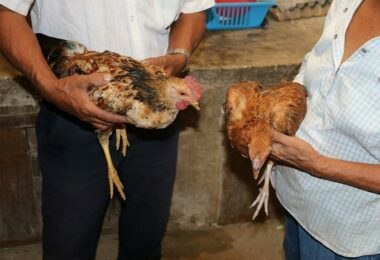 There are more and more women joining this trade and even those taking part in activities for fun. This growing interest by women has lead to the design and creation of clothing lines specifically for women, and these products are just as durable. Just like any sport or activity, your gear will need to be maintained if you want to get the most out of it. If you neglect your equipment, it will let you down sooner than you’d like and it will need replacing more frequently. Most of your support equipment, responsible for holding your weight, is made out of metal. As such, there should be a rating and other markings etched into the metal. If these are difficult or impossible to read, it’s time for a replacement since this is a good indicator of wear and tear. Your ropes are bound to take most of the punishment, so it’s essential that they are stored correctly and inspected from end to end before each use. The buckles on your harness should be lubricated on a regular basis, and any leather parts should be treated with leather oils and products to keep them supple. The bridge and shackles also need to be inspected regularly. The bridge of your harness might need to be replaced on a regular basis depending on how often you climb. After every use, it’s important to ensure that you clean each part of your equipment, lubricate any moving parts, and store in a dry place. 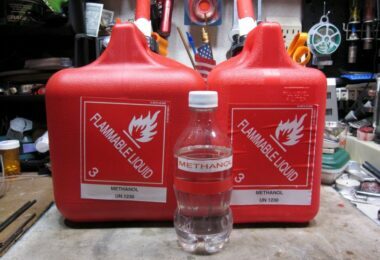 Water, humidity, and tree or plant residue can speed up the degradation process. No matter what your end goal might be, it’s important to always follow the necessary steps. As with all things in life, it’s imperative that you learn the basics before you can progress. Even if it seems frustrating at first, these beginning steps will form the sold foundation on which you can build your experience and expertise. Taking the time to perfect your skills will also dramatically decrease any risks, and you will be in for a far more enjoyable experience. Never underestimate the wisdom and experience of your instructor. They’ve been at it for a lot longer, and they can also offer sound advice regarding your equipment needs. 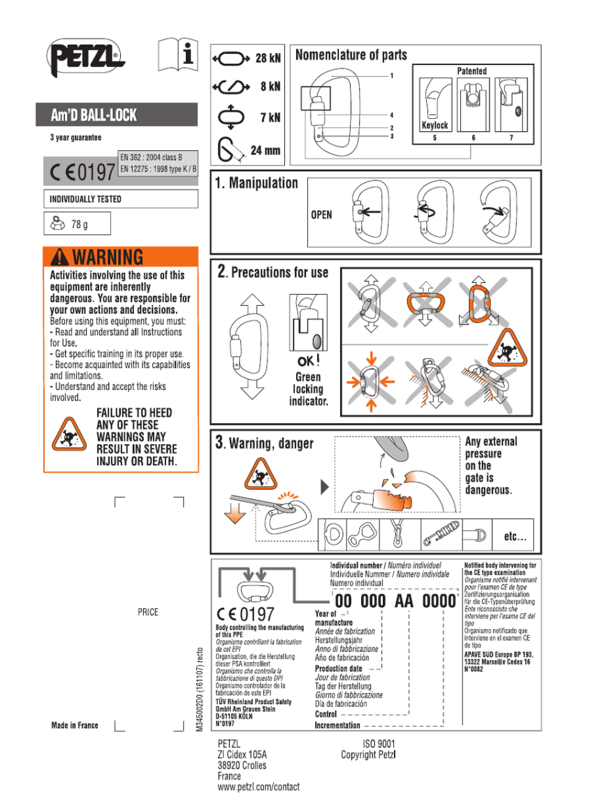 Whenever purchasing any part of your kit, make sure that you ask for warranty or guarantee from the manufacturer.